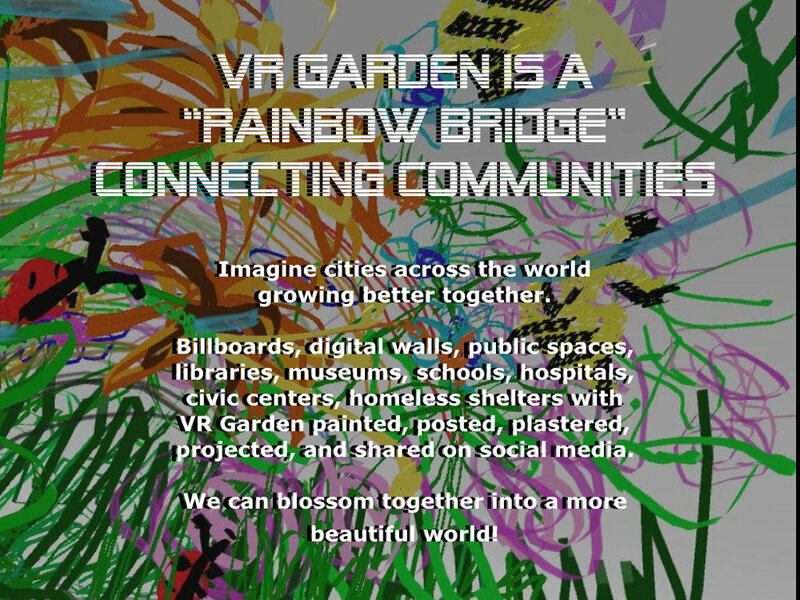 VR Garden is a future Oculus Quest Activity, and a Global Public Art Participatory Drawing Experince. 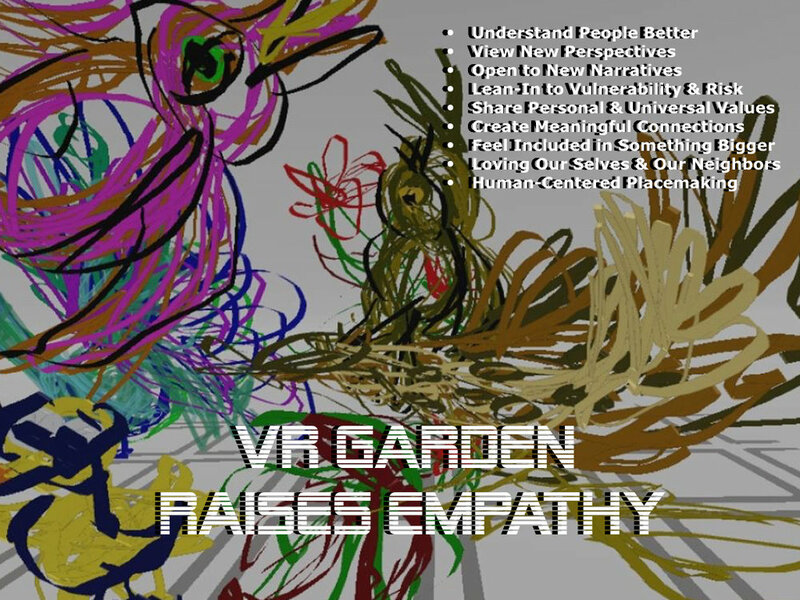 It's purpose it to contibute to 1 Billion Oculus users, and to help make a better world through creating an inclusive, diverse, empathetic space that promotes climate justice and wellness through the activies of participatory drawing in a VR Garden, and an Oculus Quest game narrative that employs creative problem solving, STEM/STEAM, and drawing in Facebook Spaces. The Oculus Experience will be designed and creaed entirely in Quill, for the Oculus Quest. 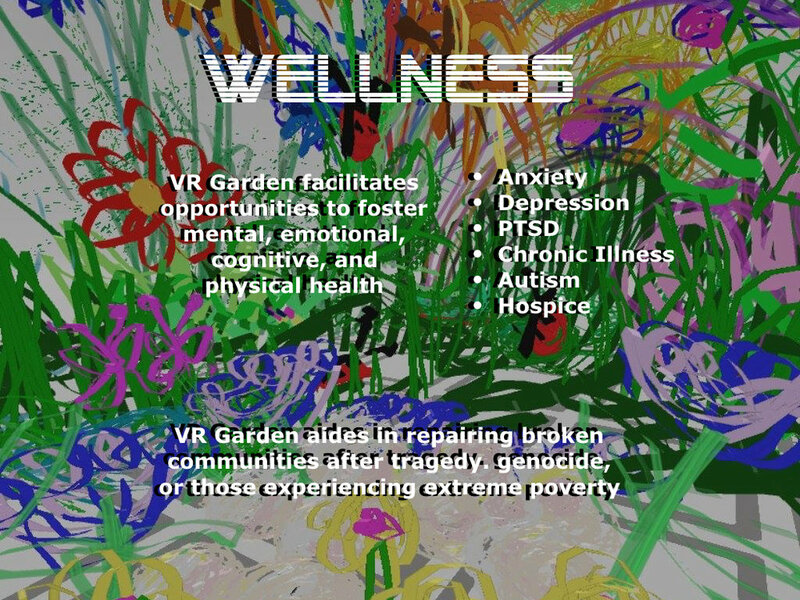 VR Garden will be a series of Game Narratives and Adventures for up to 4 friends inside of Facebook Spaces. Participants will discover edible, medicinal, ad poisounous plants and need to use them in situations based on raising empathy and inclusion, while re-propigating and polinating plants. Two Bees will be their guides as the players navigate diffrent climate-change affected envoronments. 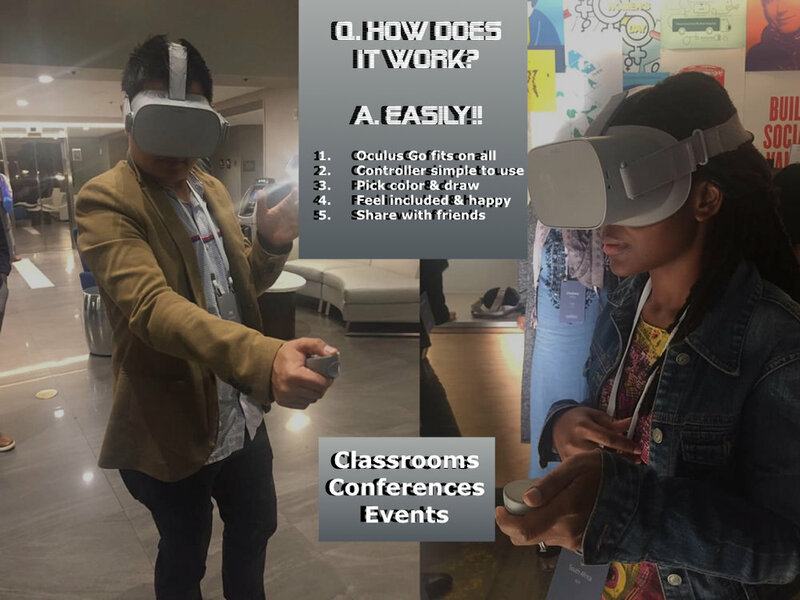 This STEM/STEAM Action Experience is intended to ignite empathy, draw, take selfies in Facebook Spaces while problem solving relevant issues of today, and engage in real world action to promote a healthier community and future world. Pitch-deck created in Oculus Go.